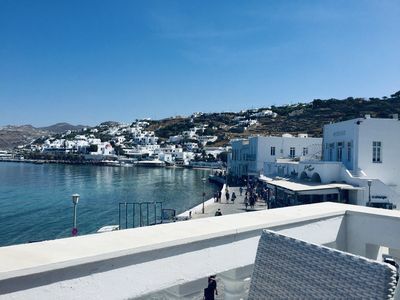 On the beautiful island of Paros, which is one of the most cosmopolitan and vibrant islands of the Aegean Sea, lies the newly built Villa Ostrica. 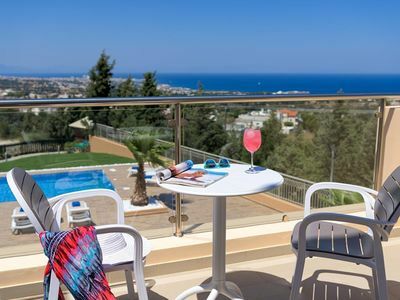 More specifically, our luxury villa is located in the picturesque village of Agios Andreas, just a few minutes away from Naoussa, on the north side of the island. 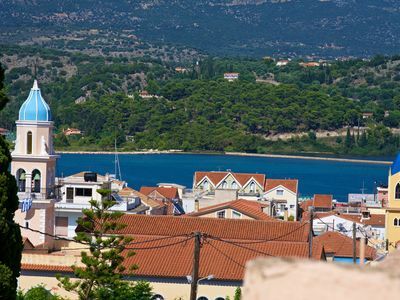 The area of Agios Andreas is easily accessible and has many interesting places to visit. 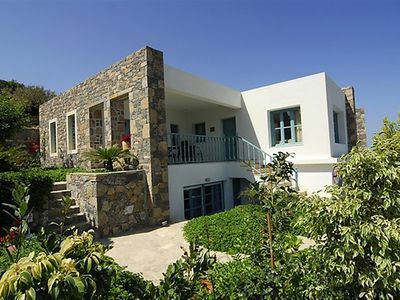 Villa Ostrica in Paros is situated in an astonishing location near the crystal clear Aegean waters, in nature’s harmony. It ideally combines the luxury of the future and the nobility of the past. 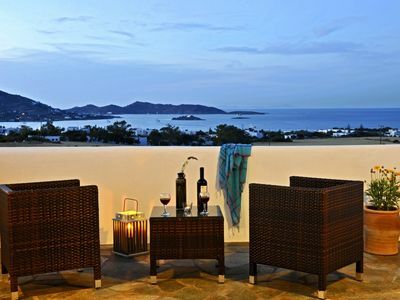 The villa offers exquisite views to the alluring, deep blue sea. 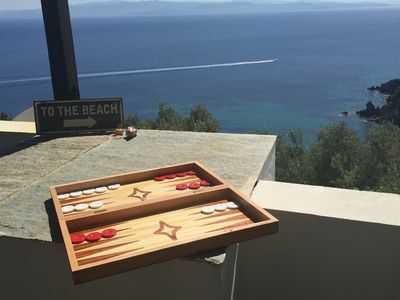 You can also calmly gaze at the mesmerizing sea from our lovely pool bar. By all means, do swim in our amazing swimming pool! 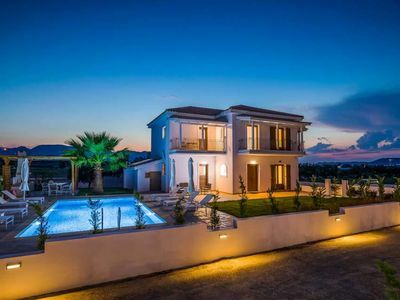 Villa Ostrica is 140 m2 and it is consisted of two levels. It is suitable for 6 to 8 people. 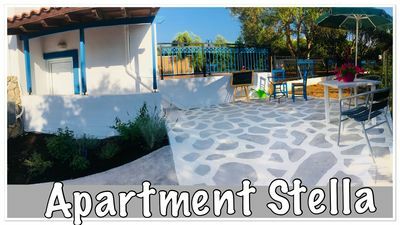 On the ground floor there is a sitting room with air conditioning, LCD TV with satellite connection, DVD player and HI-FI. The kitchen is fully equipped with electrical appliances such as refrigerator, cooker and dishwasher and all the necessary cooking utensils. 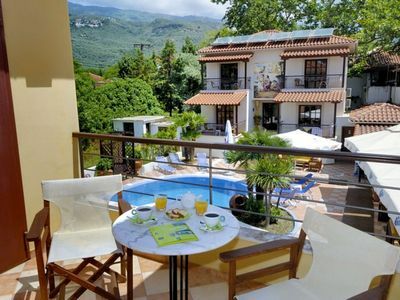 Moreover there are two bedrooms with double bed, air conditioning, LCD TV and DVD player. 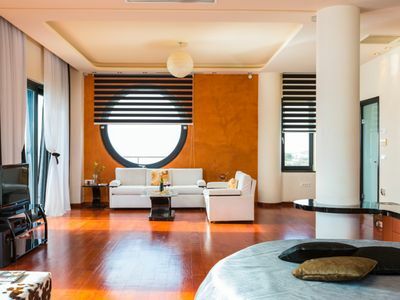 Upstairs, where it joins the ground floor with a wooden staircase, there is a large bedroom with a built-in double bed, air conditioning, LCD TV and DVD player. 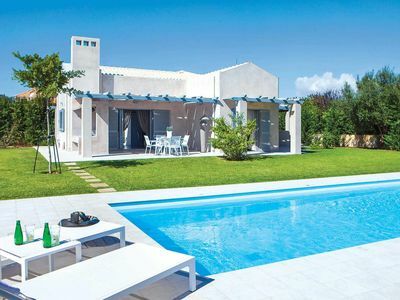 At Villa Ostrica you could will find two bathrooms, one on the ground floor and one on the upper floor which is a built shower and sink in which there are bath amenities and face towels, bath robes and slippers. 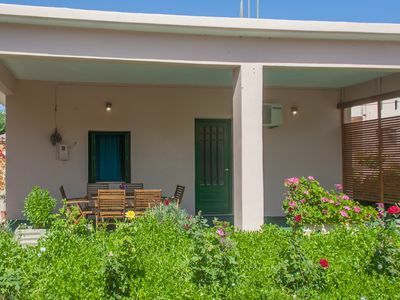 In the exterior of the villa there is a large veranda of 50 sqm on the ground floor and two balconies on the first floor for your complete relaxation. 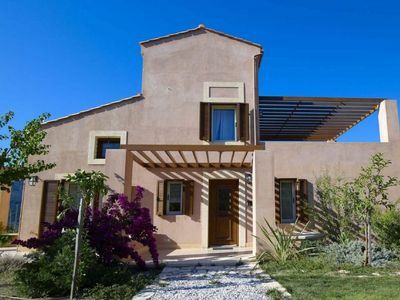 In the exterior of the villa there is a large veranda of 50 sqm on the ground floor and two balconies on the first floor for your omplete relaxation with a private outdoor jacuzzi. 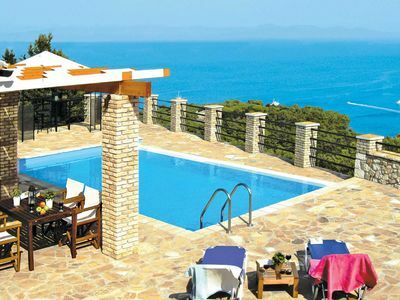 All verandas have wonderful views over the bay of Naoussa. 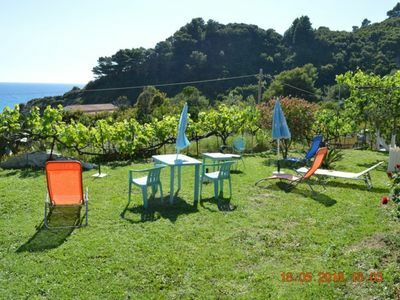 * Villa Ostrica is also accessible for guests with mobility issues.